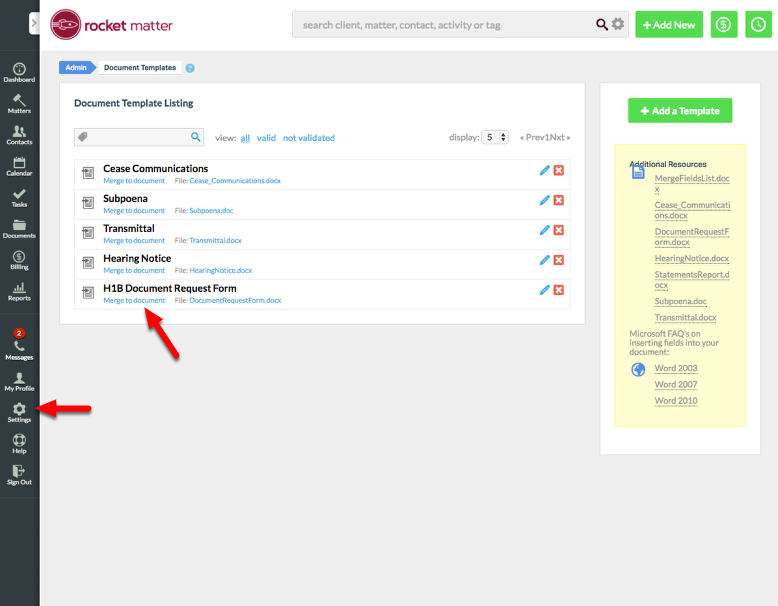 Rocket Matter Knowledge Base Additional Billing Options.9 Ways to bill as you work! 1. Bill for calendar events. 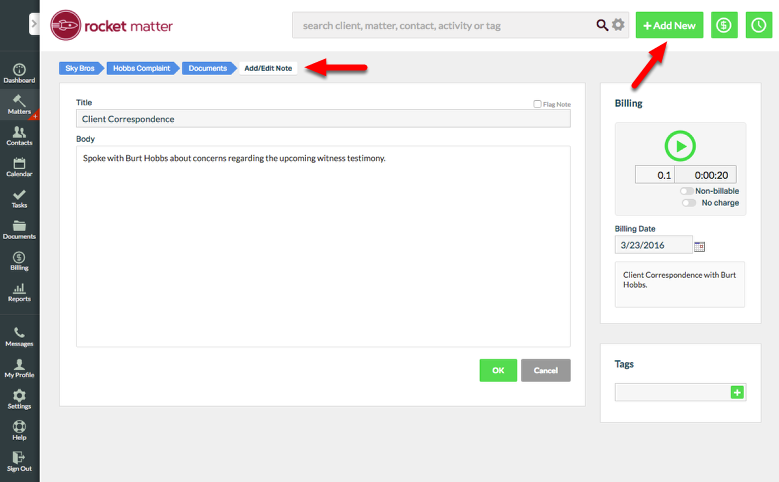 - Click "+ Add New" > "Event" to add your event. 3. Add expense or time. 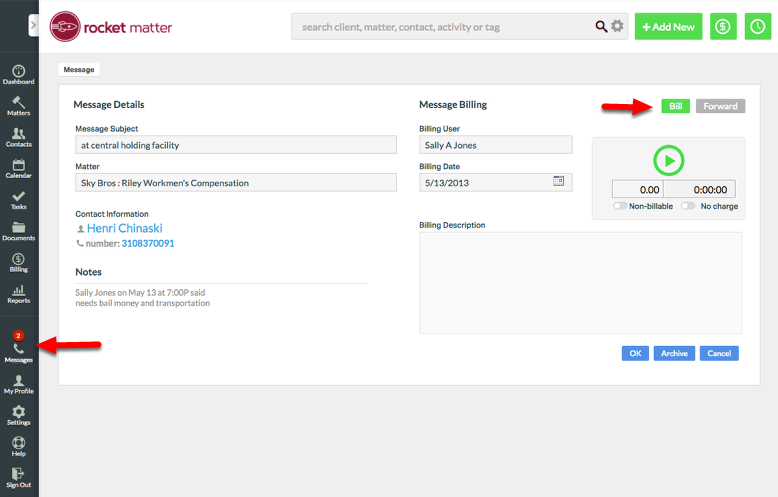 - Click "+ Add New" > "Expense or Time" to add your expense or time. 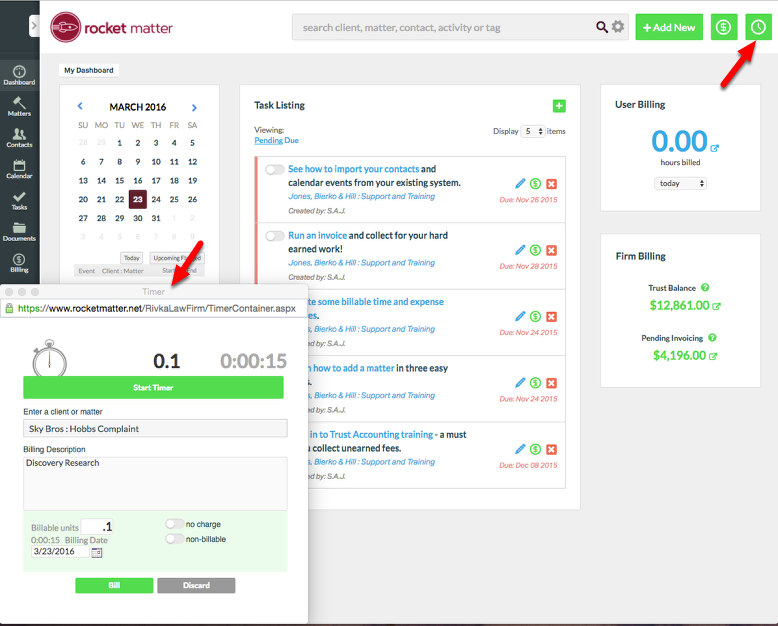 - Click the "Timer" icon at the top of any Rocket Matter screen. 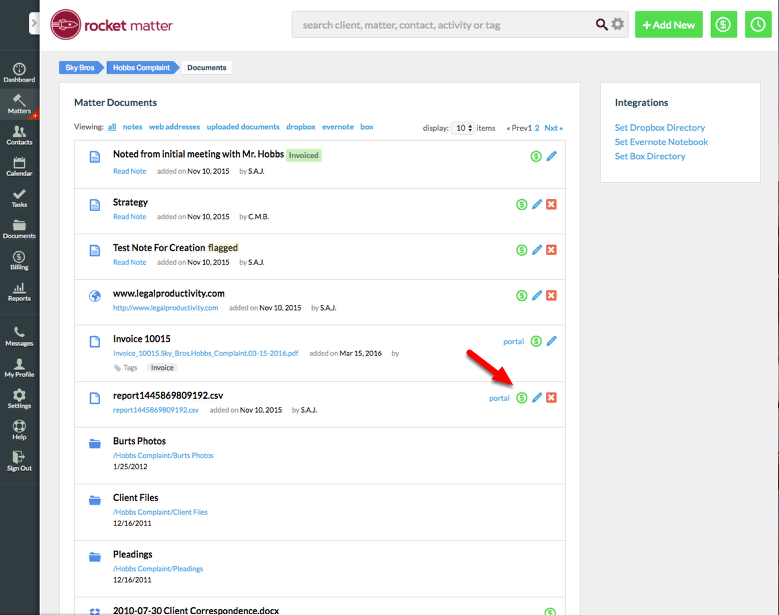 - Navigate to 'Matter Dashboard' > 'Matter Documents" > Click "$". 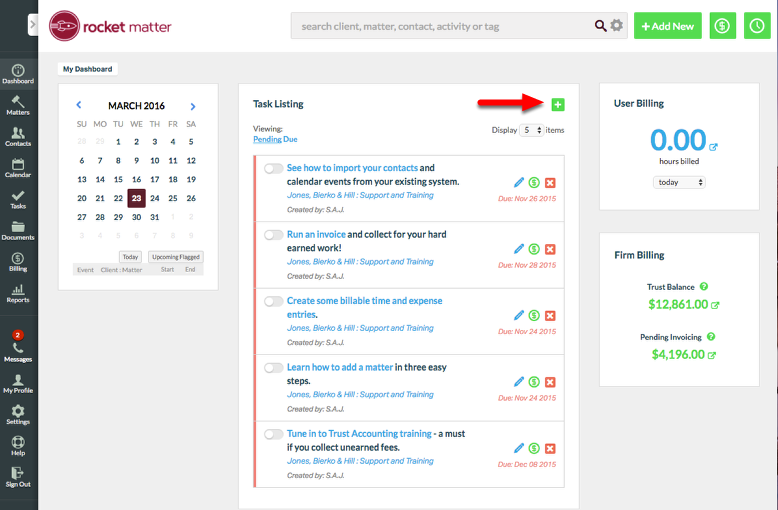 - Click "+ Add New" > Note > capture time while creating your note. 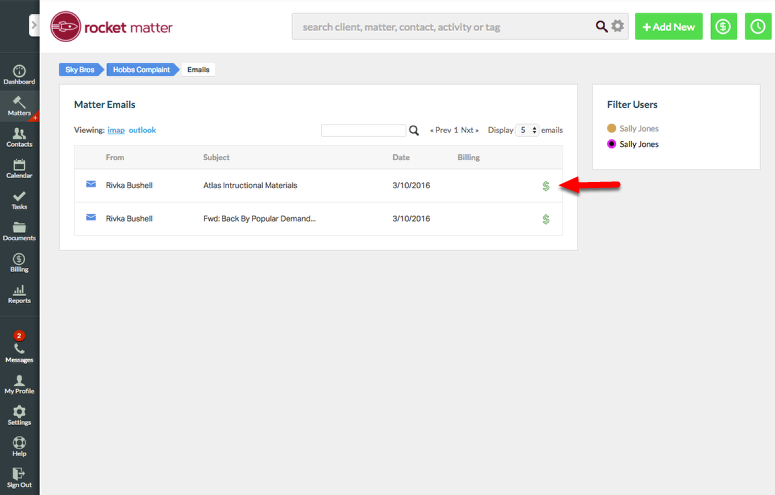 Or, click "$" next to any note in matter billing. 7. Bill for an email. 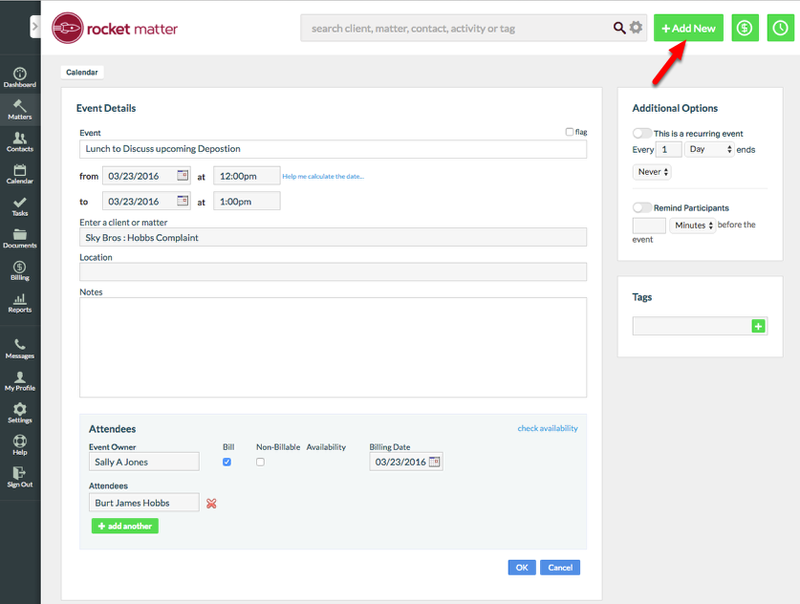 - Click "$" next to an email in any matter emails section. 8. Bill for a phone message. - Click on any phone message and attach time. 9. Bill for a document created from a template. - Capture time while creating a custom-merged document in the document Template section of your Admin Section. Click "Settings" to access your Admin Section. 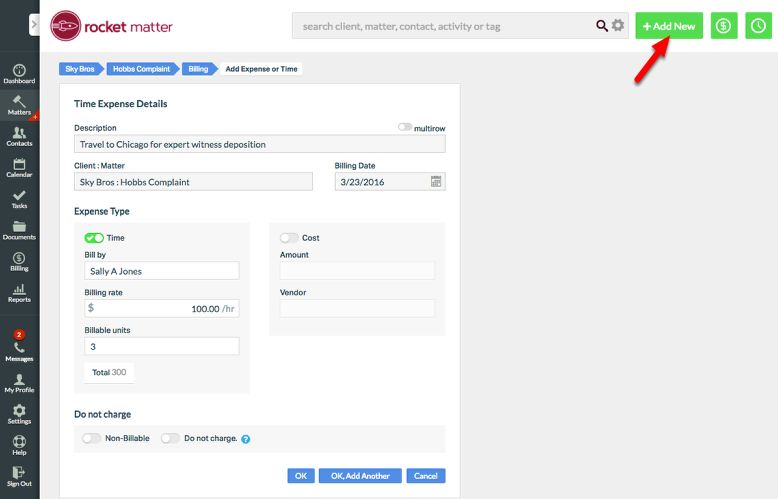 Prev: What is default matter billing type?